Windows was very zealous while introducing Windows Hello. I don’t blame them for this since the new concept was revolutionary, but less of people understood it. However, the irritating part was that the set the updates such that every time a user booted the system, it prompted to set up the PIN. This was especially true with company controlled systems since they knew company users would be interested in the PIN system. For those who liked it, it must have been a one time issue, but those who chose not to set up the PIN could find no option to skip the PIN setup screen. They would click on next and skip the setup later, which was bothersome. Even more, they had to do the exact same thing every time they booted the system. 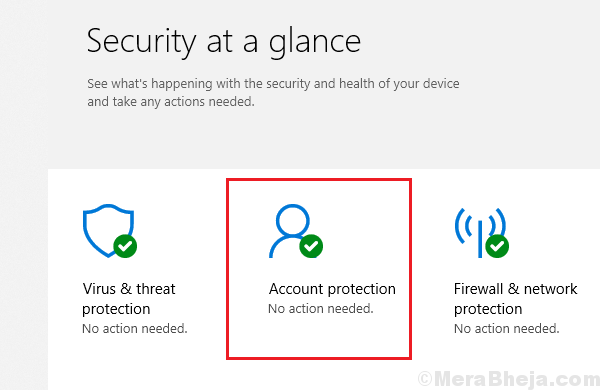 While Windows Defender was to be used side-by-side with antivirus and other system protection software, it always manages the PIN prompt page. 1] Log on to the system by bypassing the Windows Hello prompt screen as usual. 2] When on the Desktop screen, click on the upward pointing arrow at the menu on the right-bottom corner of the screen. 3] Click on the Windows Defender icon (a shield-like icon) to open the Windows Defender settings. 4] Click and open the Account protection settings. 5] Select Set up and Dismiss it. Since the issue is usually with company-managed systems, making changes directly to the group policy could be very helpful. 1] Press Win + R to open the Run window and type the command gpedit.msc. 3] Open the Logon folder. 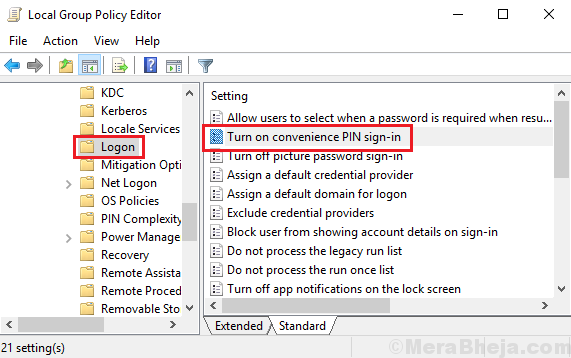 4] Find and double-click on the policy Turn on convenience PIN sign-in. 5] Shift the radio button to Disabled and then click on Apply and then on OK.
Interestingly, most users do not find this error as of present and the precise reason is that companies have already changed this policy on managed systems. For those who haven’t this guide would be helpful.